Art is a part of who Emily Hartmann is. It’s her passion and brings her much joy. When she’s in her studio, she’s been known to break out in soulful song and bust a move. 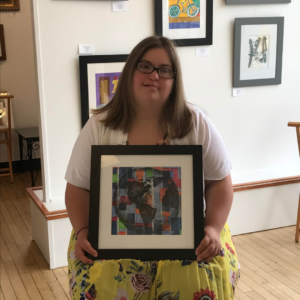 Emily Hartmann, with her original artwork that she gave to Senator Jake Corman in support of the Down Syndrome Protection Act, HB 2050. Emily, 25, was part of the 2012 graduating class from Warwick High School. She works both at Goodwill and Excentia Independent U. She also gives back to her community, volunteering for Meals on Wheels, the Fulton Theatre and Power Packs. That’s a solid resume for any 25-year-old. What makes it extra special is that Emily has Down syndrome. Now, one thing about Emily is that she is someone who is not afraid to voice her opinions. And that’s why she brought her art to Harrisburg. Despite more inclusive policies that have opened up the door for people like Emily to be welcomed in the classroom, there’s an even more glaring need here in Pennsylvania for children with Down syndrome to be welcomed into the world. Children diagnosed with Down syndrome can be aborted solely because of this diagnosis, and there are medical professionals actually pressuring parents to do so. That’s why Emily wrote a letter to State Senator Jake Corman, the Majority Leader, to urge him to pass the Down Syndrome Protection Act, House Bill 2050, which would ban an abortion solely on the basis of a diagnosis of Down syndrome. She also gave him an original piece of her artwork. Thank you, Emily. 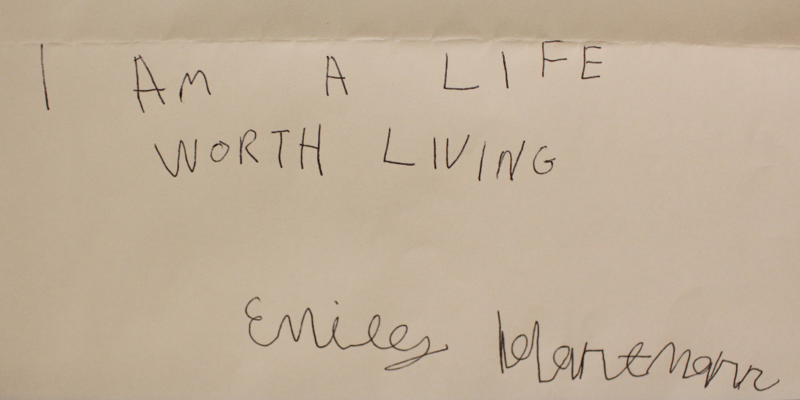 Yes, your life is absolutely one worth living. Senator Corman and the entire Senate body have the opportunity to prove to people like Emily that her life is worth living by passing the Down Syndrome Protection Act. To email your State Senator, go to pafamily.org/downsyndrome. 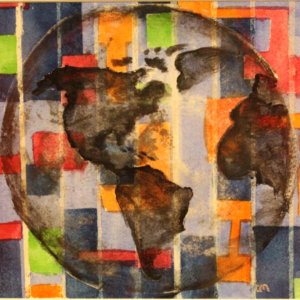 To view more of Emily’s artwork, go to friendshipart.net/artists/emily-h.